Quinte Economic Development Commission (QEDC) has a proven track record of helping manufacturers, technology companies and their supply chain industries, find the right resources, including specialized buildings and land. Small-medium enterprises (SMEs) in other sectors such as retail and professional services are assisted by complimentary organizations in the QBDC building. QEDC and its Manufacturing Resource Centre assist local industry in accessing funding programs, research opportunities, staff, space and equipment resources as well as partnerships (and any other requirements). Have a business idea and looking for advice on how to start or grow your small business? The Small Business Centre and Trenval can provide you with free confidential assistance. Manufacturers and technology companies can speak to the QEDC about how they can help you achieve your goals. Launch Lab provides assistance to technology companies looking to commercialize or expand. BDC offers organizational / operational consulting resources for SMEs on a fee for service basis. Loyalist College’s corporate training division, Loyalist Training and Knowledge Centre (LTKC), provides an array of training programs. LTKC offers off-shelf programs in personal development, manufacturing, organizational and operational excellence as well as customized programs to meet a company’s individual needs. BDC offers organizational / operational training resources for SMEs on a fee for service basis. Local manufacturers can contact the QEDC to access training rebates for technical and soft skills training. 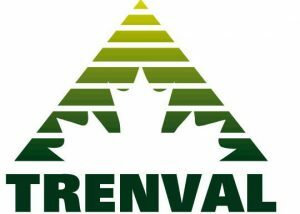 Trenval provides financing of up to $250,000 for local SMEs that are not able to access financing through traditional lenders. For larger project, local entrepreneurs can access financing solutions for buildings, equipment, working capital through the Business Development Bank of Canada (BDC). Royal Bank of Canada (RBC) provides traditional commercial banking services. Local and new industry can receive assistance in accessing federal and provincial funding opportunities through the QEDC. Entrepreneurs can access free assistance in developing business plans through the Small Business Centre and Trenval. The Business Development Bank of Canada (BDC) has a fee for service consulting division that can develop the business plan for you.